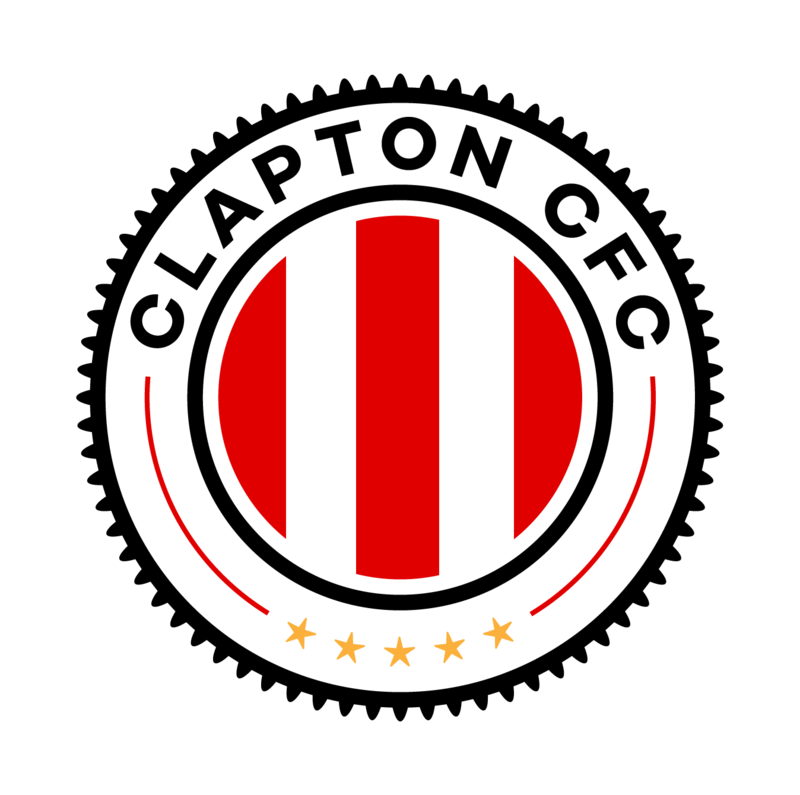 Clapton Community FC’s Non-League Day cup tie against Epping Town this Saturday was unfortunately postponed for a week due to our opposition’s involvement in another competition. However, the show must go on, so there’s a feelgood Friday friendly fundraiser instead. And it’s local. Very local. So local that one of Deano’s clearances from the Stray Dog could comfortably land in the middle of Walthamstow’s Wadham Lodge Stadium. The pub quiz compilers will need to record that this is probably the closest ever game between two teams playing at separate grounds. It’s closer than the Dundee, Nottingham and Liverpool derbies. So what about our opponents? Walthamstow FC have a fine history and they can, at a stretch trace their roots back to 1868, 9 years before Downs FC morphed into Clapton in 1878. They’ve gone through many incarnations and reincarnations having started off as Leyton FC in 1868, and eventually turned pro in 1904 and played at the ground that became Leyton Orient’s. Later Leyton merged with Wingate to become Leyton Wingate and after further mergers and name changes became Waltham Forest. 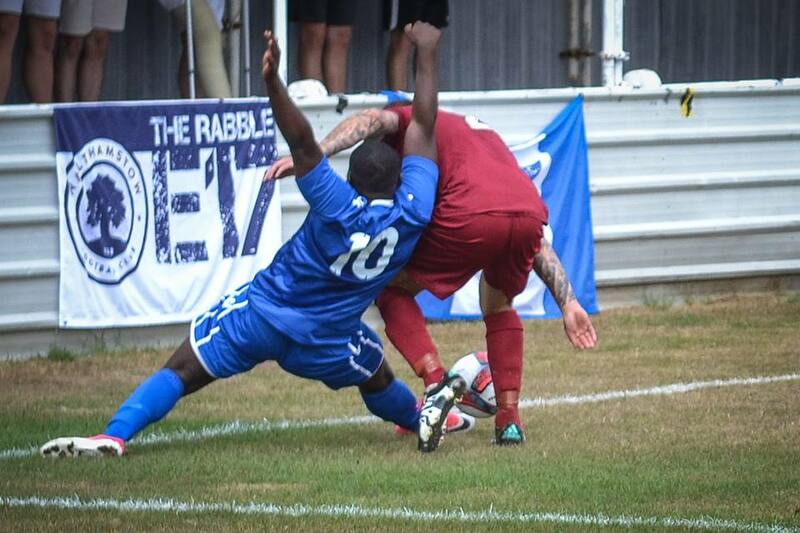 Like others in non-league, Walthamstow experienced a benefactor with delusional aspirations. That ended in a disaster from which they’ve only recently recovered. 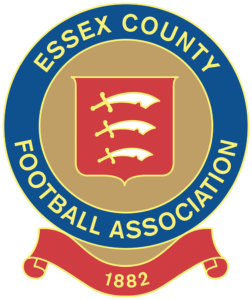 The interlude did lead to one Essex Senior Cup final win but with no progress towards the rather ambitious aim of reaching the Football League. Walthamstow FC is the result of a 2018 name change. They now play in the Essex Senior League and are currently third in the table having played 10 games, won 5 and drawn 4 with one loss. This season their main goal scorers are James Peagram with 11 and Christian Owusu with 6. In all competitions they’ve scored 36 goal at 2.1 goals per game. So there’s no shortage of goals in this team. 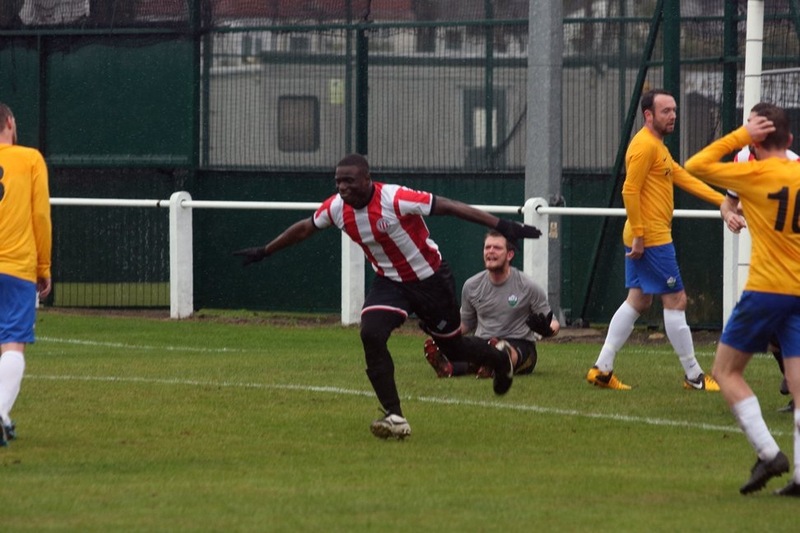 Although there’s 3 steps between Walthamstow and Clapton, both teams are led by player/managers and both maintain a positive approach to playing the game in an attacking style. The Tons are playing in the ‘attack, attack, attack’ style that gaffer Geoff Ocran demands. No prizes for guessing what Geoff’s favourite number is as the team have scored 4 goals in each of the last three games. The team is undefeated in the league and undefeated against teams around their level. And the gaffer is delighted with the increasing cohesion of the team. The players are “putting in a shift” to ensure they play the “right way” and the “entertainment factor is high”. Walthamstow FC’s chairman and secretary Andy Perkins playfully refers to Clapton as the “friendly, noisy neighbours” and is looking forward to putting names to the noise. We may also see some of their supporters, the nascent Waltham Rabble. Manager Ryan Maxwell told the Waltham Forest Guardian: “I want the lads who haven’t been playing as much to get minutes. It will be treated like a proper game and they (Clapton) deserve the respect as well as the people paying to watch. Entry is pay what you can, with a minimum recommended donation of £3 for waged adults, and all proceeds going to Newham Bookshop, East London’s best independent bookshop which needs to raise a lot of money to keep its doors open. The award-winning shop, in the shadow of the old Boleyn Ground, is launching a crowdfunding appeal to stay afloat and move a couple of doors down Barking Road after their landlord decided to turn the current site into offices. 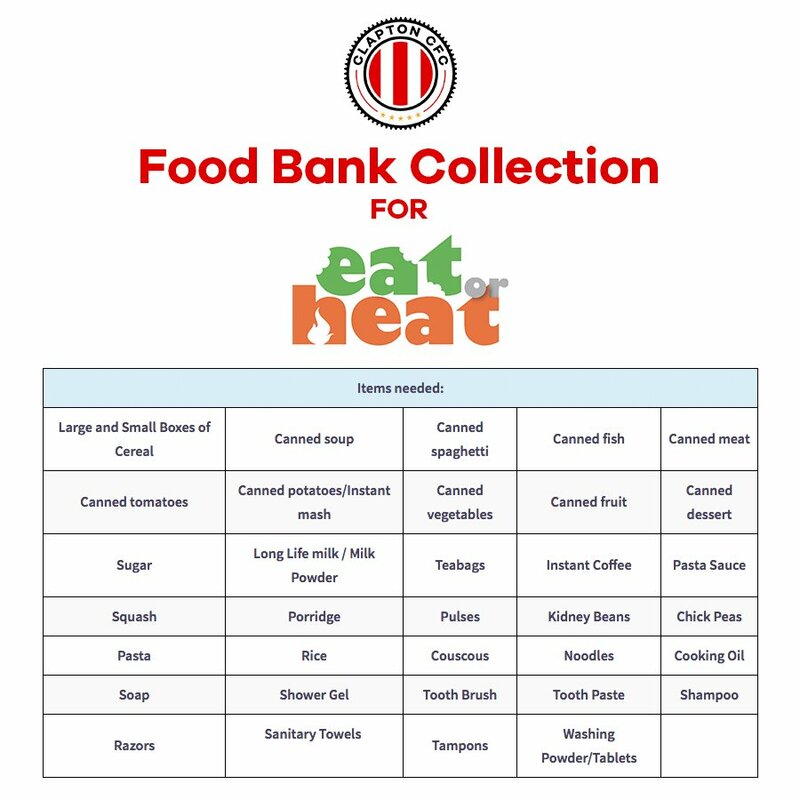 The cause was suggested by parents, who come from various East London boroughs, because of the service they provide kids and schools. So get ready for floodlit Friday night football and don’t forget to add a bit more time to your journey for the 50 extra steps. Walthamstow FC vs Clapton CFC is on 12th October 2018. Kick off 7:45pm at Wadham Lodge Stadium, Kitchener Road, Walthamstow, London E17 4LL. Admission is by £3 donation for waged adults. Join the Facebook event here.